Following the expensive reorganisation of the NHS in 2009, it has been revealed by a Freedom Information Request that top NHS executives who were moved into new jobs following the reorganisation have had their six-figure salaries protected for up to 10 years. More than 120 former NHS directors and managers have been redeployed elsewhere in the health service and the Welsh Assembly Government following the changes negotiated with trade unions. But they will have their salaries, which are as high as £195,000 a year in some cases, protected for years. “It is quite shocking that as the NHS faces a difficult time with pressures on its budget, the Labour-Plaid government has protected the salaries of senior NHS executives for up to 10 years. “The main focus of our NHS should be on the dedicated nurses and doctors working on the front line. This shows that the Labour-Plaid government’s priorities are out of synch with the priorities of the people of Wales as they protect the salaries of NHS executives who are paid as much as £195,00 a year. “The Welsh Liberal Democrats’ proposed Office of Health Spending would act as an ongoing, independent and expert assessor of the effectiveness of NHS expenditure. It will be required to monitor rigorously how each LHB and Trust spends its budget. The Welsh Liberal Democrats today called for a new approach to regenerating town centres and high streets across Wales. · Freezing business rates for a year while we reform them completely. · Giving councils more powers to require an impact assessment of large supermarket developments. · Cutting red tape for small businesses by introducing a ‘one-in-one-out’ rule whereby no new regulation is brought in without other regulation being cut by a greater amount. · Improving conditions for businesses in town centres by allowing local authorities to regenerate areas through Tax Increment Financing. · Streamlining inspection of businesses by co-ordinating and minimising the number of visits. We’ll also target repeat offenders and inspect compliant businesses less, with the aim of co-operative compliance rather than prosecution. · Re-regulating the buses to improving transport access to town centres. · Re-opening closed stations such as Bow Street, Carno and Towyn and Kinmel Bay and seek powers over the maintenance of railway stations, so we can require all new stations and major refurbishments to improve accessibility, safety and act as a community hub. “The Welsh Liberal Democrats are focusing relentlessly on boosting economic growth across all of Wales. “A busy and thriving high street is good for the community and good for the local economy but too many of our high streets have either become ghost towns or clone towns – empty and identical. “Welsh Liberal Democrat plans would give local authorities new powers to drive regeneration across Wales funded out of the business rates that they will receive from our financial plans. Our plans will also ensure that local shops are not killed off by new supermarket developments and offer business rates that don’t strangle small and local businesses. “After years of campaigning, the Lib Dems in Government have been able to stop any more post offices from closing. But we need independent shops as well. These businesses form the backbone of many Welsh town centres. They are good for our economy and good for our community. The Welsh Liberal Democrats have today highlighted the record of the Labour-Plaid government on child poverty and reconfirmed their ambition to eliminate child poverty. Wales has the highest rate of children living in severe poverty in the UK and the Labour-Plaid government failed to meet their 2010 target of halving child poverty. · focus on lifting families out of poverty through more effective measures such as boosting the economy with our Jobs and Growth Innovation Programme, improving education for poorer children, improving the health service and tackling poverty that affects families as a whole. · Extend the duty of care to 21, regardless of whether or not a child stays in education. · Rationalise the number of bodies that deal with the safeguarding of children – there are currently 154 in Wales. · Provide more money for schools by targeting additional money at the 80,000 pupils who need it the most so that schools can afford to invest in the things that really matter, such as smaller class sizes or one-on-one teaching. · Scrap Communities First and passing the money to local authorities so that community regeneration is responsive to local need and more accountable to local people. · Reform local authority funding so that deprivation is fairly recognised. “It is an outrage that in Wales, today, someone’s life chances are decided by where they were born. The Labour-Plaid government has failed to meet their 2010 target of halving child poverty. "The Welsh Liberal Democrats are committed to eliminating child poverty. We believe that education is the ladder out of poverty and we need to make sure that the education system gives every child in Wales the chance to get on in life. Everyone in Wales, no matter their background, should get a fair start at life in order to reach their full potential. “These are difficult times for families and that is why the Liberal Democrats have lifted 50,000 of the lowest paid workers in Wales out of income tax altogether and given a £200 tax cut to a million Welsh people on low and middle incomes. The Welsh Liberal Democrat "Waste Watchers" series, which is running alongside the Welsh general election campaign, has revealed that most of the Plaid/Labour government's flagship techniums have run up large losses. Founded in 2001 as an attempt to develop a series of sites where science and technology businesses could be nurtured, the Technium scheme has madea loss in excess of £5.4 million since, Freedom of Information requests have revealed. "Despite a number of individual successes, overall the Technium project has made losses of over £5.4 million. Some individual projects have made huge losses. Port Talbot has lost £2.2 million and so has Technium Cast in Bangor. “The Technium project has been widely criticised, including by the Government’s own Economic Advisory Council. Welsh Liberal Democrats have argued for a much closer relationship with the universities to help create more organic clusters of expertise and innovation. Instead, the Labour-Plaid government ignored expert advice and have presided over a colossal waste of tax payer’s money. Welsh Liberal Democrat Leader, Kirsty Williams has unveiled the Welsh Liberal Democrats’ legislative priorities for the 4th Assembly term. Following the successful referendum, Wales now has direct law-making powers for the first time. The Welsh Liberal Democrats have identified five key areas in which they would need to legislate in order to implement priority manifesto committments. · A Local Economies Bill to help drive the economic recovery and create jobs. · A Teaching Standards Bill to put in place new streamlined structures for the training and development of teachers. · A Health Spending Bill to establish an independent waste watchdog to examine the way money in the health service is spent. · A Public Transport Bill to create Joint Transport Authorities and re-regulate bus services. · A Community Bill of Rights and Localism Bill to strengthen the powers the ability of local authorities to deliver public services by giving them a power of general competence and introduce fair votes for local elections. “This will be the first National Assembly with direct law making powers. Welsh Liberal Democrats were proud to play our part in the referendum campaign that ensured for the first time in over 600 years that laws that affect only Wales will now be made only in Wales. “Now we have those powers, politicians must explain to voters how those powers will be used to improve life for people up and down Wales. “We should not legislate for the sake of it but neither should we be afraid of using the new powers that we have where this is necessary. “For the first time, Wales now has the powers to re-regulate the buses to improve bus services. “For the first time, we can now legislate to improve the training and quality of teaching and to create a health spending watchdog to root out waste in our NHS. “For the first time, we can transfer powers back to local communities. The Welsh Liberal Democrats have today highlighted the policies that they believe will be necessary to address and turn around Wales’ underperformance in schooling. Successive reports from Estyn and PISA have been highly critical of educational standards in Wales and GCSE and A level results in Wales have fallen behind England for the first time. Under Labour and Plaid Cymru, Wales spends £604 less per pupil on education than in England. Welsh Liberal Democrats are promoting carefully costed plans to attack the spending gap, providing more money for schools by targeting additional money at pupils who need it the most so that schools can afford to invest in the things that really matter, such as smaller class sizes or one-on-one teaching. In addition, Welsh Liberal Democrats will invest properly to offer new training and development opportunities to teachers, driving up standards and demanding the best of our teachers so we deliver for our children. "Welsh schools were once the envy of the UK. Now, sadly, international comparisons shows that that Wales' results in reading and maths have fallen significantly behind and that Welsh students are falling behind their counterparts in England, Scotland and Northern Ireland. "Labour and Plaid have failed our children who are now paying the price for the gross underfunding of schools over the last decade. "Education is the key investment we can make for all our children. It is the route out of poverty, the key to ensuring that everyone can reach their full potential. Ultimately, it’s the way to make our economy strong and our country fairer." "Our schools will only improve when we give teachers the tools and training they need to inspire our children. Pupils in Wales get £604 less spent on their education than in England. Welsh Liberal Democrats will give education the priority it deserves." · Creating jobs and improving our economy by offering new companies £2,000 for staff training if they provide jobs to unemployed young people. · Tackling the spending gap, providing more money for schools by targeting additional money at the 80,000 pupils who need it the most so that schools can afford to invest in the things that really matter, such as smaller class sizes or one-on-one teaching. · Radically overhauling the energy efficiency of an extra 12,000 homes by doubling the money available for tackling fuel poverty. In contrast, one week after the publication of the party manifestos, Labour, Plaid Cymru and the Conservatives have yet to publish any manifesto costings at all. “One week after the publication of the manifestos, Labour, Plaid Cymru and the Conservatives have still failed to set out any costings for their manifesto priorities. “Plaid Cymru are proposing to lavish millions on businesses loans but have no idea where the cash will come from. “Labour have expensive but totally uncosted promises on policing, jobs, and schools funding. “The Conservatives, whilst not providing costings, have at least made it clear that they wish to slash funding to schools, housing, local government, rural affairs, economic development, tourism and the environment. They now need to come clean on the true scale of the cuts they are proposing and where they will find the savings. “The Welsh Liberal Democrats are the only party to have published fully costs plans alongside our manifesto. Our key priorities of offering new companies £2,000 for staff training if they provide jobs to unemployed young people and of targeting additional money for the pupils who need it the most are fully costed and affordable. · Bring empty homes back into use with a Wales-wide Empty Homes Programme that will assist councils and housing associations to make use of empty homes. · Bring more private money into housing by working with housing associations to restart the Welsh Housing Investment Trust. · Protect any new social rented housing from being sold under the Right-to-Buy scheme for a minimum of 25 years in areas where this is needed. · Strengthen the ability of councils to enforce their minimum level of affordable housing in new developments. “The Labour-Plaid government has failed on community regeneration and housing and their attempt to build affordable homes has been condemned by report after report because they have not delivered improvements. They promised to increase the supply of affordable housing by 6,500 but they missed that target. A Liberal Democrat motion deprecating the 6% (8.4% when water rates are taken into account) rise in rents for NPT Homes Ltd was voted down by Neath Port Talbot council at its meeting today. Contrasting the rise to be paid by our former tenants with the lower increases in Swansea and Carmarthenshire, and the Welsh Assembly Government's guideline of 4.95% for 2011/2012, Councillors Frank Little and Keith Davies attempted to raise the question of promises of lower increases made by supporters of stock transfer during the campaign, but were ruled out of order by the chair. Labour members voted solidly against the motion, with the support of most of the Nationalist group . Four councillors who are on the board of NPT Homes Ltd had declared an interest and left the chamber. There was support from some independents and a minority of Plaid Cymru councillors. That this council expresses its concern at the high level of rent increase imposed on our former tenants by NPT Homes. The Welsh Liberal Democrats launched their manifesto for farmers on the day that Kirsty Williams, Leader of the Welsh Liberal Democrats and Wyn Williams, Montgomeryshire Candidate and farmer, visited Sennybridge livestock market. “Welsh agriculture has faced challenges and often turbulent times over the last decade, with outbreaks of devastating diseases, low farm gate prices, increasing input costs and never-ending forms to fill in. The farming industry is difficult as it is and farmers don’t want to be chained to their desk doing admin work for a Labour-Plaid government. “I know that farmers want to be out on the field, producing food to meet a growing demand and develop ideas to protect and enhance our environment. Plaid Cymru in government have seriously let down farmers right across Wales with the bungled Glastir agri-environmental scheme. “Welsh farmers and farming are an integral part of the Welsh economy and we want to ensure that they continue to grow which will benefit the rural economy and the Welsh economy as a whole." “I know how difficult it has been for farmers over the past decade and the Welsh Liberal Democrats want to make it better for farmers to do what they love and encourage young entrants to farming. The Welsh Liberal Democrats today confirmed their commitment to taking advantage of Wales’ natural beauty and tourism industry to boost the economy as they visited a successful rafting activity centre in Cardiff. · Make St. David’s Day a public bank holiday and a global celebration of Wales, raising international awareness and encouraging people to visit and buy Welsh products. · Develop a major events calendar that is specifically tasked with bringing events to all of Wales. We will bid for the Tour de France and a major American Football game. · Promote off-season activities and assisting in creating a wider range of winter activities across Wales in order to reduce seasonal variations in tourism. “Wales’ natural beauty is one of our great resources and we have great vibrant cities. Tourism brings in over £6 billion to Wales every year and supports 172, 000 jobs. It is a central part of the Welsh economy but with the right support, it could grow further and help fuel a sustainable economic recovery. The European Commission is due to publish today an evaluation of the EU data retention directive, which was passed five years ago and obliges telecoms companies and ISPs to keep the details (although not the content) of all e-mails, phone calls, faxes and text messages sent and received on their networks. "I opposed this directive from the very start, when the then Labour Home Secretary Charles Clarke managed to push it through, ostensibly in the name of counter-terrorism. It gave the green light for mass surveillance and possible profiling of the general public. "The constitutional courts of Germany, the Czech Republic and Romania have all ruled that the national laws implementing the directive were unconstitutional as they breached privacy protection. "The law needs to be tightened up so that searches can only be conducted for the purpose of combating terrorism and other really serious criminality, and the current maximum data storage period of 2 years must be significantly reduced." It was revealed last August that the legal cost of the Labour-Plaid Government's fight to challenges to its planned badger cull pilot was more than £57,000, with nearly £20,000 paid towards the Badger Trust’s costs. The Labour-Plaid government’s badger cull order was overturned by the Court of Appeal as they said it was wrong to make an order for the whole of Wales when the Government consulted on the basis of an Intensive Action Pilot Area (IAPA) which only supported a cull on evidence within the IAPA. The assembly government had to pay £57,000 for losing the legal challenges to its planned badger cull. “The badger cull is a very sensitive issue for many people across Wales but what we are talking about here shows the incompetence and ineffectiveness of the Labour-Plaid government. They’ve spent millions on external legal advice but their order was overturned by the Court of Appeal. Not only is that embarrassing but it is also costly. “The way the Rural Affairs Minister handled the whole order was shambolic, just like the Glastir agri-environemnt scheme she has bungled. "The Conservatives have released a manifesto that will take Wales backwards. "They claim to be concerned about the weak economy but want to slash budgets for economic development and training at the very time when these areas need to be prioritised. “They also claim to be concerned about school funding, after Labour and Plaid Cymru have allowed the funding gap to spiral to over £600 per pupil per year. However, their budget plans would increase it to an eye-watering £881." On a visit to a historic pub in Cardiff, the Welsh Liberal Democrats today announced that in government they will be pursuing a new law for community empowerment. · Creating a new listing system for village greens and other community spaces. Joining Nigel Howells on the visit was Jenny Randerson, former Cardiff Central Assembly Member, who has played a prominent role in Save the Vulcan campaign. “The Welsh Liberal Democrats are proposing a Community Bill of Rights to ensure that every community in Wales has the power to decide how it should look in the future. We want to devolve power to local communities whereas the Labour-Plaid government want to make decisions over their future in a cosy Ministerial office in Cardiff. “We want to give local councils the power to protect historic buildings with a social or community significance, such as historic pubs like the Vulcan Inn in Cardiff. They are best placed to put into action what local people want. “Each Community Bill of Rights policy is worthwhile on its own, but delivered together it would constitute greater power handed over to local people and communities across Wales. Kirsty Williams, Leader of the Welsh Liberal Democrats, yesterday welcomed the Chief Secretary to the Treasury, Danny Alexander MP, to Wales as they unveiled the Welsh Liberal Democrats policies that can ensure Wales’ “Closed for business” sign is taken down. The Welsh Liberal Democrats have pledged to focus relentlessly on boosting economic growth, creating jobs and tackling low skills and making sure that Wales is a good place to do business. · Create jobs and improve our economy by offering businesses £2,000 for staff training if they provide jobs to unemployed young people. · Create a Jobs and Growth Innovation Programme to increase the number of patents, establish business mentoring schemes and upgrade old manufacturing sites for new jobs. · Freeze business rates for a year. · Cut red tape for businesses by introducing a ‘one-in-one-out’ rule whereby no new regulations are brought in without other regulations being cut. · Streamline inspection of businesses by co-ordinating and minimising the number of visits. We’ll also target repeat offenders and inspect compliant businesses less, with the aim of co-operative compliance rather than prosecution. · Allow councils to fund regeneration projects, paid for from future business rate income through Tax Increment Financing (TIF). “Wales needs a government that understands business and the importance that the private sector plays in boosting jobs and growth. Sometimes, the Labour-Plaid government gives every impression of not even liking business. “They are guilty of piling layers of additional complexity on Welsh firms that businesses investing the other side of the Severn Bridge will not have to navigate. That ‘Closed for Business’ sign needs to come down. Business needs to know that those who invest in Wales and create jobs will be helped, not hindered. “Kirsty Williams and the Welsh Liberal Democrats are the only party who are showing that they have the vision and determination to really get the Welsh economy moving. “The Welsh Liberal Democrats proposal to establish Economic Development Zones in deprived areas with preferential business rates and training incentives mirrors the UK government’s announcement of enterprise zones and will help boost the Welsh economy and improve skills. “After the control freakery of the Labour years, we now have a government in Westminster that is actively looking to devolve more powers where possible. We have already committed to work with the new Welsh government to develop a Calman-style process. · Offer 5000 training grants (worth £2000 each) a year to new businesses that set up in Wales and take on young unemployed people. · Create a Jobs and Growth Innovation Programme to increase the number of patents, establishing business mentoring schemes and upgrading old manufacturing sites for new jobs. · Cut red tape for businesses by introducing a ‘one-in-one-out’ rule whereby no new regulation is brought in without other regulation being cut by a greater amount. · Streamline inspection of businesses by co-ordinating and minimising the number of visits. We would target repeat offenders but inspect compliant businesses less, with the aim of co-operative compliance rather than prosecution. “Plaid Cymru says the current Government is 'Plaid driven' but their manifesto ignores their failure in government over the last four years. “They say they want to create jobs but when Ieuan Wyn Jones took charge four years ago, Wales’ unemployment was below the the UK average, now it is higher than the UK average. “They talk about making sure children read, write and count to the expected standard but under the ‘Plaid driven’ government we have seen the worst relative decline in standards in education for decades. “They say that want to raise private money to invest in buildings but they have spent the last four years trumpeting their refusal to build hospitals that way. “They say they want to tackle climate change but their own minister has spent £8 million pounds of tax payers’ money subsidising air flights instead of investing in public transport. “They say they want to tackle affordable housing but they failed to increase the supply of affordable housing by 6,500 as promised. “Plaid say they stand up for rural communities but every farmer knows that it is a Plaid minister that has presided over the unmitigated disaster of Glastir, the agri-environmental scheme. 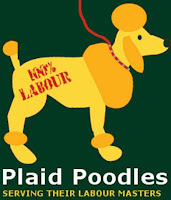 “Plaid didn’t even deliver on the Welsh language, promising a Welsh language newspaper that never materialised and failing to ensure official status for the Welsh language. Welsh Conservative intent on "slash and burn"